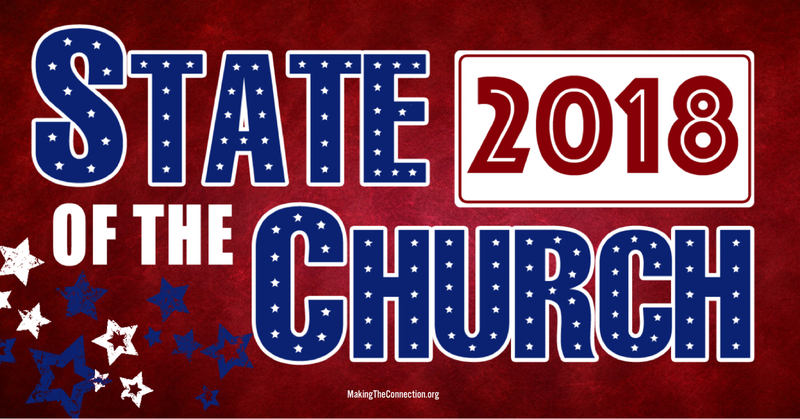 The current State of The Church matters because it’s all about God’s church and what God is doing in the world today. A missionary named C.T. Studd said, “Some people want to live within the sound of church bells, But I want to run a mission a yard from the gates of hell!” The Church is a Rescue Mission. Jesus’ mission was to seek and to save the lost, and that’s our mission too. We partnered with the City of Buda with over 60 volunteers for the community Easter Egg Hunt. 2,147 people attended our Easter services! 1580 were at our first Costume Party. Over 2000 people attended our Christmas Eve services. Almost 25,000 volunteer hours were given in 2017. 260 people serve on our Dream Team! Our first KonnectionKidz Camp Chaosome had 125 campers! GirlTime Women’s Ministries held our first Chosen Women’s Conference with 160 ladies. The GirlTime Red and Green Gala served 250 ladies! 8 of our Celebrate Recovery leaders went to training at the National Convention in Orange County, California. 77 people completed our entire Growth Track and 205 people took at least one step through Growth Track. Our Go! Mission Team traveled to Guatemala where this year we fed a healthy meal every school day of the year to over 50 children in Agua Zarca, and added a new village: Plan de Avila/El Reparadero where we are also feeding those kids. We also threw a Christmas Party for the children of Agua Zarca, Plan de Avila and El Reparadero. We continue to sponsor and support kids through Metro World Child and Compassion International. To help with Hurricane Harvey Relief, we sent relief teams to Beaumont, and sent multiple trailer loads of supplies to Austin Disaster Relief; a semi-truck full of supplies went to Beaumont, and provided backpacks for students in Beaumont. food, gasoline, rent, utilities, and medical assistance. We provided Thanksgiving meals for about 150 people. We provided Christmas gifts for 68 kids of incarcerated parents through Angel Tree. We strengthened our partnership with HaysCISD by providing 2 teacher appreciation meals for the faculty at Wallace Middle School; provided backpacks to send kids back to school with needed supplies; and adopted the Impact School where we are mentoring the boys and girls in leadership each week and provided 32 pairs of headsets for their education. We welcomed 791 first time guests, which we call our VIPs! Even though we cut out donuts for the month of October, we still managed to eat 24,300 donuts. 101 people went public with their faith in Jesus through baptism! This year, we broke through the 1000 mark and since the start of The Connection Church, we’ve baptized 1023 people!!! This started with us remodeling the San Marcos campus! We had a huge community FallFest event to kick off the launch. 247 people attended the launch on the very first day. 86 Dream Team members attended the Christmas party in San Marcos to celebrate! 4 Baptisms in San Marcos in its first 3 months! We exist to reach people with the life-changing power of Jesus! People ask us, “How far are you going to go to reach someone for Jesus?” Our answer is, “As far as we can, without sinning.” Jesus went all the way to the Cross. So we will do Whatever it Takes. Build our Connections through Connection Groups and Service! This is the original blueprint for the Church! They connected in worship services and in small groups. This is how we grow in our relationships. People also get connected by serving. Our service strategy is to Serve a Service and Attend a Service. You grow in your relationships in the trenches, when you are getting your hands dirty and you experience challenges, some conflicts, and victories. Bringing people to Jesus is the natural outgrowth of a healthy church. Bring more people to Jesus in 2018 than ever before! The reason we get to see 2018 is so that more people will be brought to Jesus, and more people will be in heaven for eternity. We need to be like Andrew. Who will be in heaven because of you in the coming year? God can do anything, you know—far more than you could ever imagine or guess or request in your wildest dreams! He does it not by pushing us around but by working within us, His Spirit deeply and gently within us. Glory to God in the church! Glory to God in the Messiah, in Jesus! A church with a come-as-you-are culture where people are welcome and feel comfortable, no matter their background to experience God’s grace and truth through creative services with messages that are biblical and practical and music that is modern and relevant. A church that loves children and builds a strong spiritual foundation for a successful life. Where students have a blast in a dynamic youth ministry that meets them right where they are and lets them know they matter to God. Where families are healed and marriages are strengthened. A church where people gather in homes all over our area to grow in their walk with God and in their friendships with each other in relationships that will last a lifetime. A church that is serving our community and lifting people out of hopeless situations into a life of hope and purpose. A regional church for people between Austin and San Antonio. A church that is raising up a generation of godly leaders who will influence our nation. A church that is going around the world to spread the Good News. A church that starts many other churches to impact their region for Christ. A church full of committed followers of Christ who will do whatever it takes to see God’s vision become a reality in our lifetime. Dream Big God-sized dreams where God has to come through in a Big Way!